As peer-to-peer lending grows, so does peer-to-peer investing. But one of the complications with peer-to-peer investing is in managing a portfolio that can literally include hundreds of individual loan notes. That’s where peer-to-peer investing software services come into the picture. Wondering how can you get a loan with P2P, we can help you understand in our P2P Review. When you invest in peer-to-peer loans, you’re typically purchasing small slices of many loans. Frequently referred to as “loan notes”, they can come in denominations as small as $25 – or you can buy entire loans. This means that you can spread a $10,000 investment across as many as 400 different loan notes. That can provide excellent investment diversification, spreading your money across so many loans that the default on one – or even several – will not materially hurt your portfolio. But at the same time, it’s also an investment management nightmare! It can be complicated enough to manage a stock portfolio that holds 20-30 stocks, but imagine a lending portfolio that holds hundreds of individual investments? This is why peer-to-peer investing software services have come into existence. They enable you to manage a portfolio that contains hundreds or even thousands of different loan notes. In many cases, all you need to is to establish the criteria for the loans that you choose to invest in, and the peer-to-peer investing software service will handle all of the mechanics of the process for you. That includes both buying and selling of individual loan notes. That is a more important management tool than you might assume, unless you already have experience in attempting to manage a large peer-to-peer investment portfolio. While the basic idea of investing in peer-to-peer lending platforms is simple, the actual process usually isn’t. Part of the reason is the way the lending process works. When you loan money to someone, there is a specific term for the loan. As the borrower makes monthly payments on the loan – which consists of both principal and interest – the loan then amortizes, falling all the way to zero by the end of the loan term. Unlike stocks, loan investments are self-liquidating. Once you make the loan, it immediately begins becoming smaller. For that reason, as loans amortize, it’s important that you have a system in place that enables you to reinvest the returned principal on a regular basis. If you don’t, your entire portfolio will eventually fall in value, all the way to zero. And if you take monthly loan payments as income, your portfolio will pay out completely – all the way down to zero – after the last loans are fully paid. That means that peer-to-peer investing is a process of constantly seeking an investment in new loans, in order to replace those that are being paid off. In theory, since an average peer-to-peer loan has a five-year term, if you have a $10,000 portfolio that includes 400 loan notes, you have to purchase 80 new loan notes each year, just to keep your portfolio fully invested. That’s a lot of buying, and a lot of detail. But that’s what peer-to-peer investing software services can handle for you. Founded in 2011, NSR Invest is one such peer-to-peer investing software service available. It is available to both investment advisors and to individual investors. 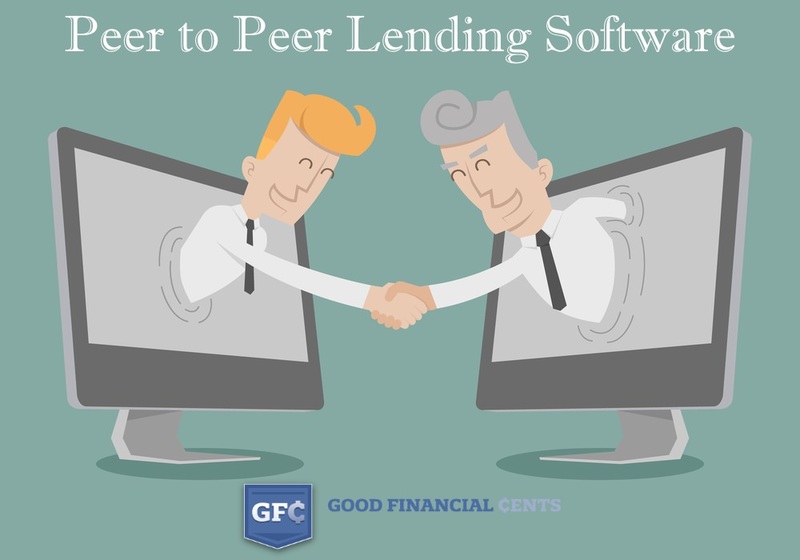 The software works directly with major peer-to-peer lenders, including Lending Club, Prosper, and Funding Circle. NSR Invest works with thousands of clients investing more than $100 million on peer-to-peer platforms. What the service does, first and foremost, is to help you pick the right strategy for managing your peer-to-peer loan investments. It provides you with access to proprietary credit strategies, institutional grade trading technology, and seamless visibility and reporting. The service will assist you with loan selection, risk management, and rebalancing. They also have people on staff who can help you in your peer-to-peer investing efforts whenever you need assistance. In fact, their experts are available by phone, email, and live chat. And for what it’s worth, NSR Invest is an SEC Registered Investment Adviser. In order to use the service, you need a minimum account size $10,000 for a fully managed account, or at least $5,000 for a self-directed account. Best of all, the first $20,000 in your account is managed free of charge and you can learn more in our NSR Invest review. Seattle based LendingRobot is a service that automates loan investments for individual investors. In fact, they claim to have handled nearly 2 million investment orders so far. They do it in a way that is both easy and cost effective, which helps to bring about the best combination of high returns and low risk. They do this by combining cloud technologies with machine learning algorithms. We cover the entire company in our Lending Robot review, but here is the short of it. LendingRobot starts by connecting to your existing lending account with peer-to-peer lending sites such as Lending Club, Prosper or Funding Circle. You specify your risk profile, and then let LendingRobot apply a custom, machine learning-based strategy that will work best for you. The tool recognizes when new loans are available, and automatically purchase loans that match your specific risk profile. LendingRobot can also sell your existing loan notes, or even purchase already issued loans on a secondary market. The software allows you to create a set-it-and-forget-it investment strategy, that will automatically handle buying and selling of loan notes. It will also allow you to see your portfolio, complete with expected returns and cash flow forecasts. LendingRobot also is economical to use. The first $5,000 in your peer-to-peer loan portfolio is managed for free. Balances above $5,000 are charged an annual rate of 0.45%. That’s close to fee that many robo advisors charge for investments in exchange traded funds, and well below what you will pay for a traditional investment advisor. BlueVestment is a peer-to-peer investing software service that works specifically with Lending Club. It provides for fast investing, multiple account support, convenient account management – and simple and easy to understand tools to power your investing strategies. BlueVestment manages your Lending Club account by performing all investment actions on your behalf. This means that they will require access to your Lending Club account, so you must provide your Lending Club account API information. After that, the service works continuously throughout the day to maximize access to new loans. BlueVestment gives you access to every loan the moment they become publicly available. And by establishing loan filters, as well as advanced loan filters (using up to 90 different metrics), you can execute your investment strategy seamlessly. It also enables you to prioritize your loan filters, so that you will get the best notes first, as well as to specify the dollar amount that you will invest per note. BlueVestment allows you $1,000 of free investing each month, and there is no annual fee, and no charge for funds invested in cash. They charge a low service fee of between 0.20% and 0.45% per investment. Our BlueVestment review also shows you how the platform allows you to receive credits for charged off notes (and those will happen when you are investing in hundreds of different loans). Founded in 2011, PeerCube is a peer-to-peer investing software service that works with both individuals and institutions. The company works to help in managing accounts with Lending Club and Prosper, though they also work with other peer-to-peer platforms in Canada and Japan. The service works by creating a loan filter that selects the loans that you want to invest in. But you can also create as many filters as you want. Default criteria are set each filter, but you can create and save as many filters as you like, as well as changing the parameters within each filter. The filters enable you to sift through the many loans that are available on either Lending Club or Prosper, and to narrow down the best investment choices based on the criteria you select, including loan purpose, loan rate, and borrower location. This will enable you to pare down the number of notes, making it easier for you to select the ones that you want. You can view up to 100 filtered notes at a time, and the app will show you the funding progress bar for the status of funding by other lenders. That will give you an opportunity to jump on a loan note that may be drawing investment interest quickly. If you like a loan, you simply have to click “Lend”, and the order will be placed. PeerCube also has its proprietary Risk Index, also known as a Bad Loan Experience Index, or BLE Index. PeerCube uses 19 attributes in calculating the index, including interest rate, FICO range and loan term. It then produces a score that indicates the likelihood of loan default, based on previous experience within those 19 attributes. The Risk Index is not the same thing as a credit grade assigned by the peer-to-peer lending sites themselves; in fact the Risk Index doesn’t even consider credit grade in calculating the index. It provides the investor with an extra layer of risk assessment in an effort to keep loan defaults to an absolute minimum. This is important because default rates have an impact on the net returns on your investments. You always want to seek out the best paying notes, but also those with the least likelihood of default. Peer Lending Server is another peer-to-peer investing software service. It works only with Lending Club, and the service is absolutely free to use. The app can be installed in about 10 minutes, and it also uses a set-it-and-forget-it philosophy in managing your investments. As is the case with other peer-to-peer investing software services, Peer Lending Server allows you to select specific filters that will enable you to sift through new loan offerings, finding notes that you want to invest in. The service focuses heavily on loan underwriting, which it considers to be the single most important factor in peer-to-peer lending. The app can filter loans in a fraction of a second as soon as new loans are listed. They use historical analytics provide current and projected return on investment, in an effort to maximize return while minimizing risk. This enables you to quite literally cherry pick the best loans available for investment purposes. The service also provides portfolio analysis. This provides you with the current state of all loan notes that you have in your portfolio, including grace periods. It can break down a loan payment schedule, from grace period to 16 to 30 days late. This will give you a more accurate assessment of where your loans are really at. Interest Radar is another peer-to-peer investing software service that works exclusively with Lending Club. It works to provide you with high interest loans with lower risks for better returns. It is yet another investing software service that is offered free of charge – at least for the first 30 days. They provide statistical tools that will enable you to design your own investment strategies, or to use one of their predefined models. You can choose either conservative strategies, providing returns of between 6% and 10%, or very aggressive strategies that can provide returns of between 15% and 20% (all returns are net all loss rates, which means that they will be reduced by loan defaults within your portfolio). You can establish loan filters, then take into consideration homeownership (own, mortgage, rent), Lending Club credit grades, loan term, as well as other criteria. The app has advanced tools, such as the Cash Flow Generator, saving and retrieving strategies, monitoring Strategy performance, the Loan Description word frequency analyzer, as well as alerts. The app will also allow you to track all of the notes that you have invested in, from the time of your initial investment until the loan is completely paid off. You can also use the app to screen existing loans available through FolioFn Listings on Lending Club. Peer-to-peer investing is quickly becoming a popular investment, particularly since interest rates on fixed income investments are so low. Peer-to-peer investments enable you to earn much higher rates of return on your investment. But the process can be somewhat complicated if you try to manage it on a manual basis. That’s what peer-to-peer investing software services are for, and the ones listed above are among the best in the industry.